Chelsea Manning, the US Army intelligence analyst who was given a 35-year jail sentence for leaking national security secrets to Wikileaks, has been approved for US taxpayer-paid hormone therapy in the physical transition to become a woman. The decision to grant Chelsea Manning, 27, who was born Bradley Manning, hormone therapy was revealed in a memo from officials at Fort Leavenworth prison, where Manning is serving his sentence. 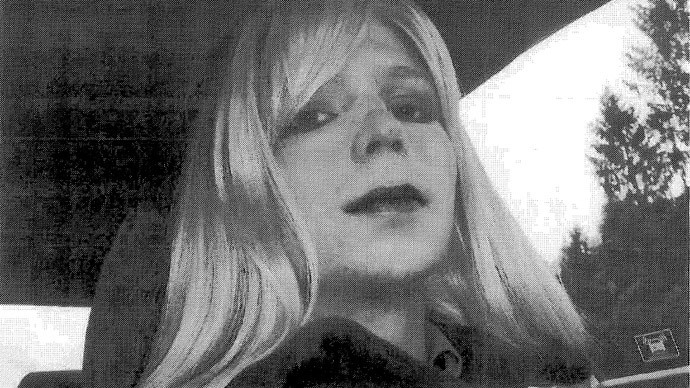 A day after sentencing in August 2013, Manning declared she had felt female since childhood. During her trial, Manning’s lawyers had argued that she had been disillusioned by the wars in Iraq and Afghanistan and the public had a right to see the documents, which included military reports and diplomatic cables. But while in prison, Manning remains a soldier and so the issue of hormone therapy had to be dealt with by the US Army. A memo obtained by the US media describes the decision of the commandant of Fort Leavenworth prison to allow the treatment for Manning’s full transition to become a woman. "After carefully considering the recommendation that [hormone treatment] is medically appropriate and necessary, and weighing all associated safety and security risks presented, I approve adding [hormone treatment] to Inmate Manning's treatment plan," Col. Erica Nelson, the commandant of the Fort Leavenworth Disciplinary Barracks in Kansas, wrote in a Feb. 5 memo. Manning had requested hormone therapy so he could live as a woman. Transgender people are not allowed to serve in the US military so the Defense Department cannot pay for hormone therapy but the Department of Veterans Affairs does provide it. “If she had a heart attack, they have to treat that, too. This is no different,” Keisling said. A report by US Surgeon General Joycelyn Elders, which was sponsored by an LGBT advocacy group, estimated that there are 15,000 transgender people serving in the military. And from 2001 to 2011, there were 3,177 veterans diagnosed with gender identity disorder according to the Veterans Affairs Department, while overall it is estimated than one in 11,000 male babies and one in 30,000 female babies are born with the disorder, according to the Veterans Health Administration. Although it is still illegal for transgender troops to serve in the US military, Air Force Secretary Lee James told USA Today last month that the ban is soon to be reassessed and lifted. The president of the National Taxpayers Union, Pete Sepp, said Thursday that Manning’s fame would have allowed her to have the treatment privately and that it shouldn’t be up to the taxpayer to pick up the bill.